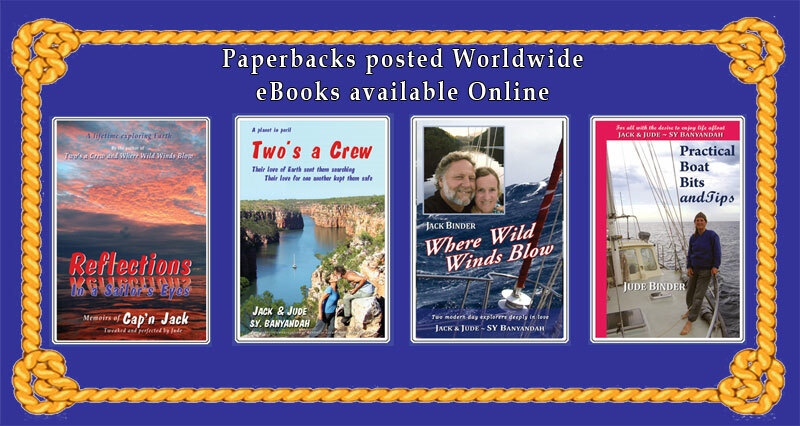 One of the great pleasures of sailing round n’ round the same continent is meeting up with friends made on an earlier voyage and seeing how they have progressed along their road of life. Here in Fremantle we have had the great pleasure of once again hooking up with Tristan and Jasmine, and meeting their two new daughters. 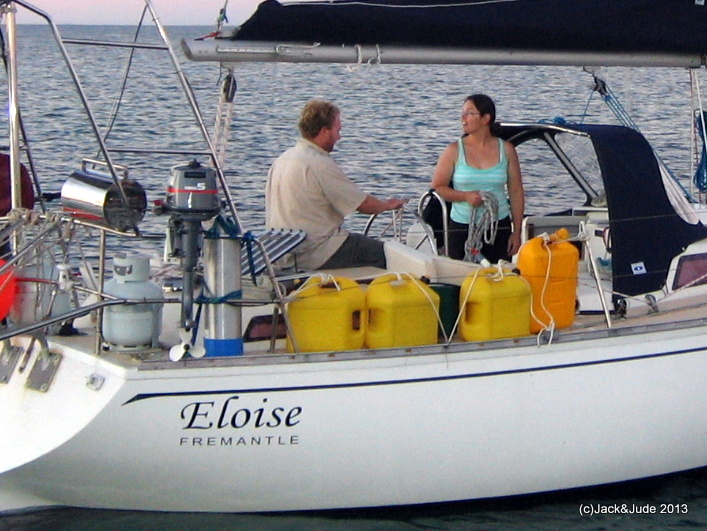 In 2007, Jasmine and Tristan, who was then the assistant Harbour Master of the Fremantle Sailing Club, were on the brink of beginning their sailing adventure aboard their sloop Eloise. 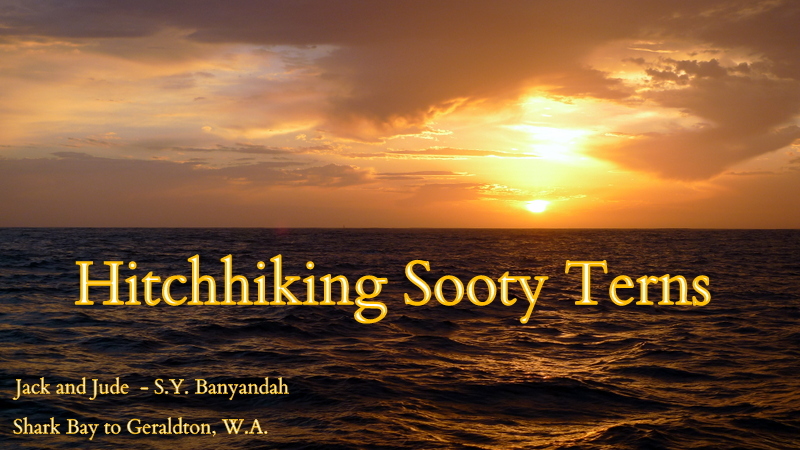 When Banyandah departed their club to explore Geographe Bay, Eloise soon followed after and the two of us experienced great adventures while they got settled into the cruising life. Six years on, this couple has not only sailed their Eloise through Asia, they then journeyed to Canada to take up management of a remote resort catering for hunters and outdoors affectionados. 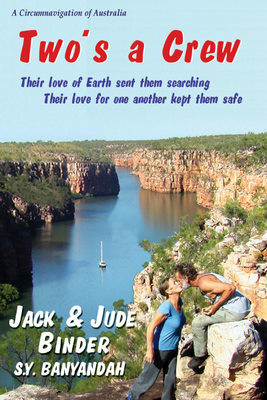 The work was long and often quite arduous in this wilderness setting, but both thrived on the challenge, living a good life on its rewards.Now the pair are back in their home country, Tristan taking on the demanding role of Harbour Master responsible for this 670 berth marina and its huge clubhouse and fleet of support vessels, while Jasmine has the equally challenging role of a stay at home mother to her small children. And they all are so happy, and are continuing their search for ways to help Earth while enjoying all of Earth’s wonders and adventures. 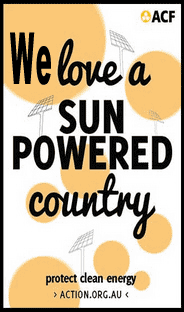 In a commitment to help Earth back into balance, Jasmine and Tristan have created the Sea Sparrow Group of companies, FUEL RIGHT is one of their offshoots that market and distribute a fuel additive that has some amazing qualities. 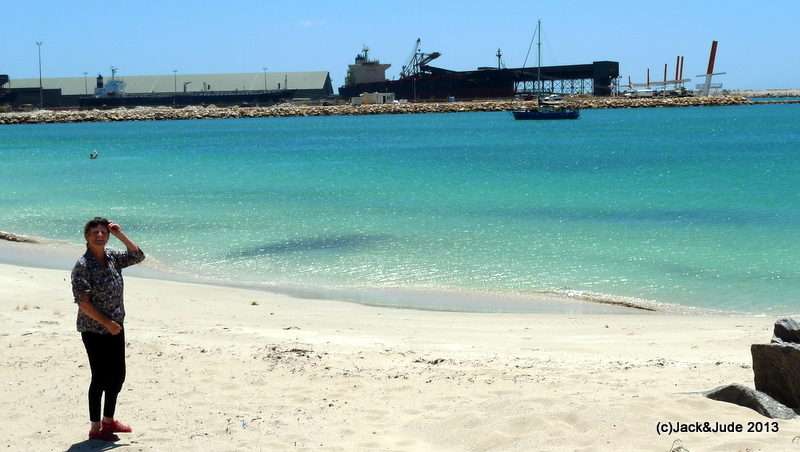 Boaties should check it out, as we will when we take on diesel fuel before leaving Fremantle. 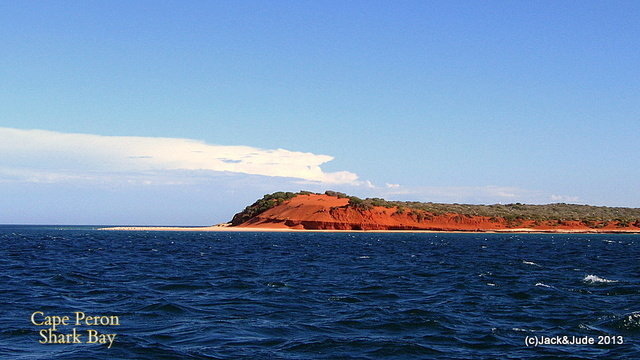 The Kimberley coast has so much to see and do, but it has it’s restrictions. The numerous crocodiles stop anyone but the brave and foolish from entering the water. 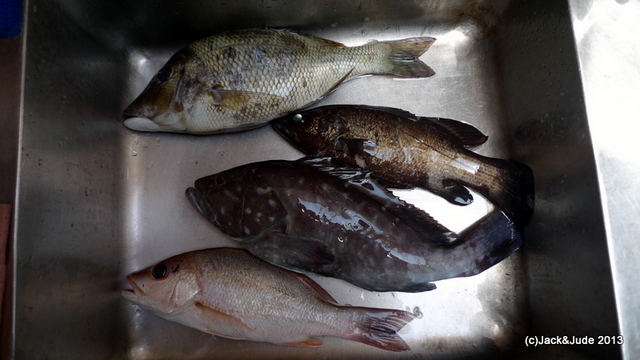 And while the fishing can be good in some select locations, it can be quite ordinary in the turbid, fast flowing waters found around many of the anchorage. 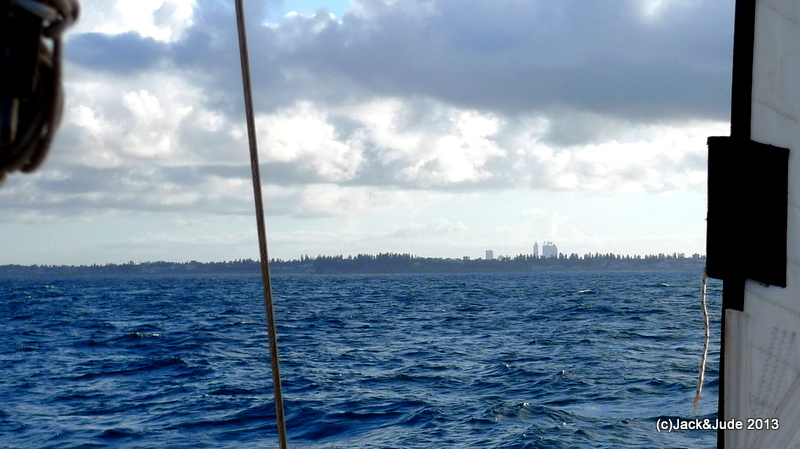 It was a perfect finale for a magical voyage that began at Steep Point two weeks ago, first with a two day sail to Geraldton, and now another two day reach to Fremantle, the port for Perth, capital of Western Australia. This is our first time alongside in a marina since Tasmania last January. High pressure fresh water right on the jetty, 240 volt AC next to the water, and a hot shower just a few steps away in the Fremantle Sailing Clubhouse. We’ve given Banyandah a fresh water wash, did a few bits of hand laundry, next we’ll have a scrub up and celebrate with a few ales at the club bar. Woohoo! For the next few weeks, we have a few maintenance issues. Our GME plotter has a slight hiccup so it will go in for a service, as will our MT400 EPRIB, which needs its long-life battery changed. Then there’s our well used Maxwell anchor winch. Jack’s been meaning to change a bush inside it since Tasmania, but it’s never been secure enough to take it out of service. Our engine gearbox also must come out to find a mysterious oil leak, but that will have to wait until Banyandah is out of the water. 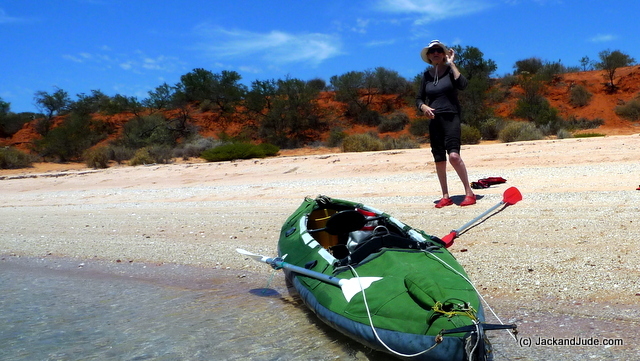 Jude’s going to wash all our ropes to rid them of red Dampier dust, and the built up salt from a hot climate. That should soften them up. 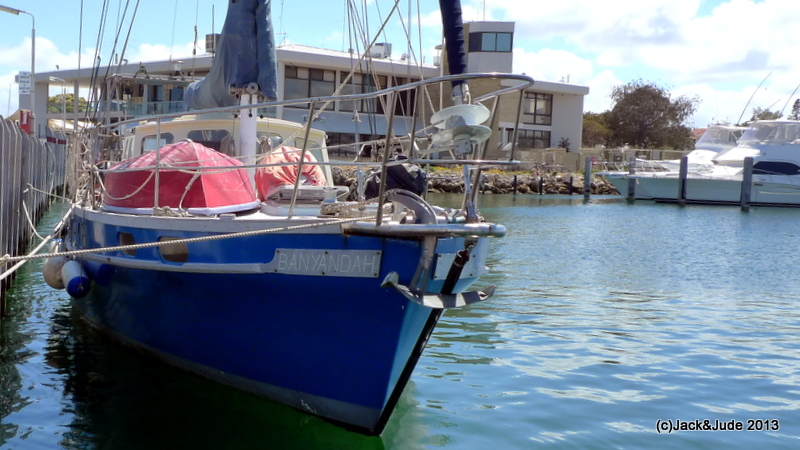 A mild fair breeze took Banyandah through a fleet of anchored ships, ever closer to the skyline of Western Australia’s Capital City. 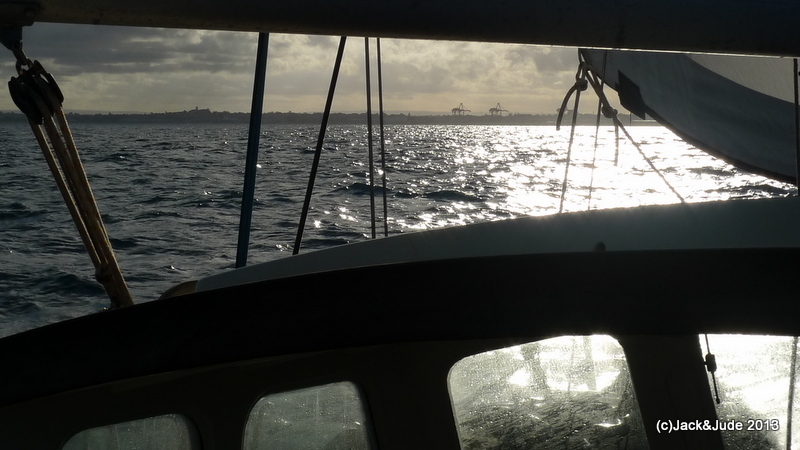 After the night’s somewhat boisterous wind had sped us along under reduced sail, so we wouldn’t arrive before dawn, first light revealed the cranes of the Port of Fremantle an easy hour’s sail away. 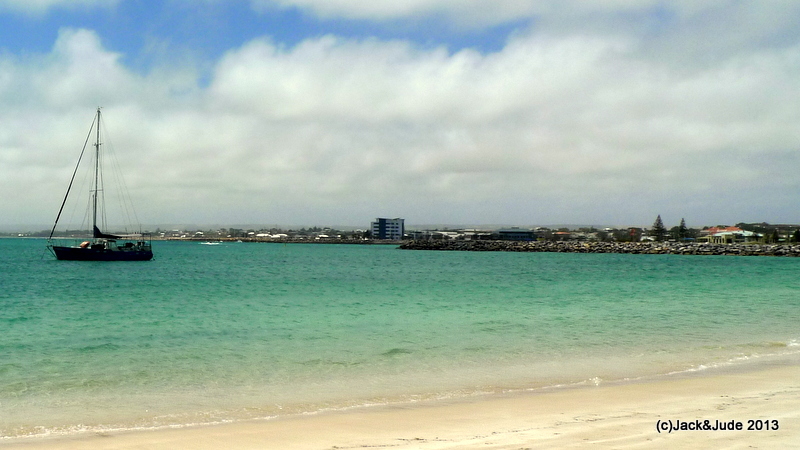 A fabulous anchorage off Geraldton’s Town Beach, activity of the port adding great excitement. On our voyage from Shark Bay to Geraldton, the winds were so mild three Sooty Terns decided to hitch a ride with us. Here are their attempts at landing and hanging on to our rolling pitching hand railing. 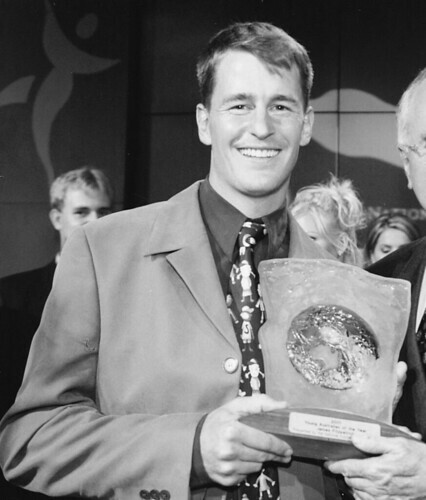 It is another joy of our life that from time to time we met great people like Australian of the Year Dr. James Fitzpatrick. The sea connects us, our love of Earth inspires us, and the desire that our children should be able to experience these magical qualities bonds us. 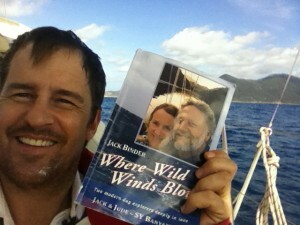 James bought our book when planning his first major voyage in a new boat. Across the great Southern Ocean under Australia, from east coast to the west. When buying our book, he asked our advice for this arduous and dangerous undertaking. Preparation is the key to a successful voyage. Know your vessel inside and out, check thoroughly its integrity, through hull fittings, engine and cooling system, have essential spares. Make sure your sails are in good nick, we always visually check stitching. 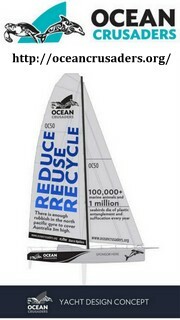 The furling headsail needs to be strong, an old one weakens where the sun protection ends, it breaks down in five to six years. If the cloth is flaccid, you could have problems you don’t want. The invoice in the transparent sleeve on its back states AUSTRALIA. So it first went to America’s west coast, as expected for Australia, then someone read the front label and said, Oh No, and sent it to NY. Heaven only knows what happened when it got to Austria. There’s a stamp from the Vienna Customs Department. Maybe they are used to receiving parcels for Australia. Anyways, it is here now, fits Jude nicely, a big help to her, and we are setting sail. so all’s well that ends well. Harsh hard trekking through some of Australia’s most startling, least inhabited countryside. 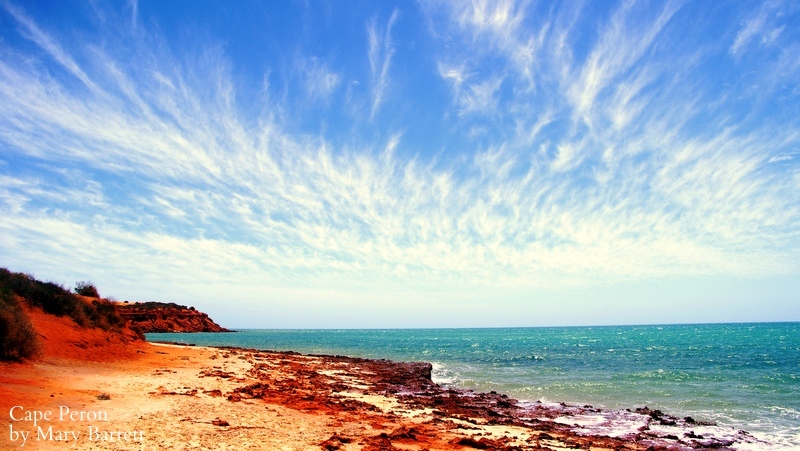 This video gives viewers an excellent snapshot of the much talk about beauty of the Kimberley region of northern Australia. Climb a waterfall and swim in a giant’s pool found in a far away land once inhabited by Earth’s earliest people. Thirty-five thousand years ago, ancient ones were painting the rich, red rock with exquisite scenes depicting the earliest known life. 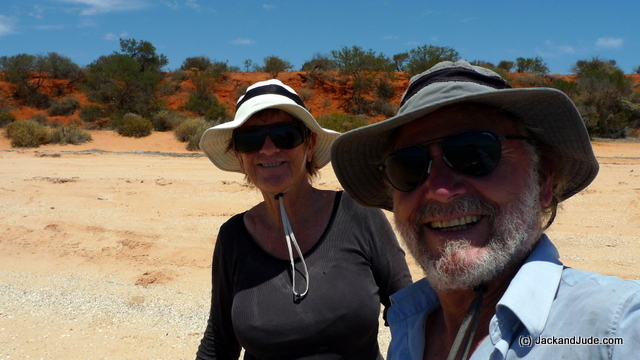 Come along with Cap’n Jack when he leads a small group on a revisit to rock art first found when Jack and Jude trekked the forbidding Kimberley landscape in 2007. Kimberley Rock Art Revisited from JACKandJUDE on Vimeo. The beauty and adventure of mid-ocean coral lagoons brimming with nesting seabirds, big fish, and 360 degree views. 80 photos added. Some you may have seen – many more are new. Just as Mama Cass sang out so long ago, Jude’s leg is “Getting better. Growing stronger, Getting better everyday…,” She’s not going to pole vault any barriers just yet, but she’s walking short distances without needing her crutches. And that’s a whole lot better than a few weeks ago when even getting her down into the dinghy took a fair bit of logistical planning. We are sort of semi-permanent residents here at Monkey Mia Dolphin Resort in Shark Bay, Western Australia, and we’re having such a lovely stay, we’d better blow their bugle a bit. This has to be one of the best places to bring your family. 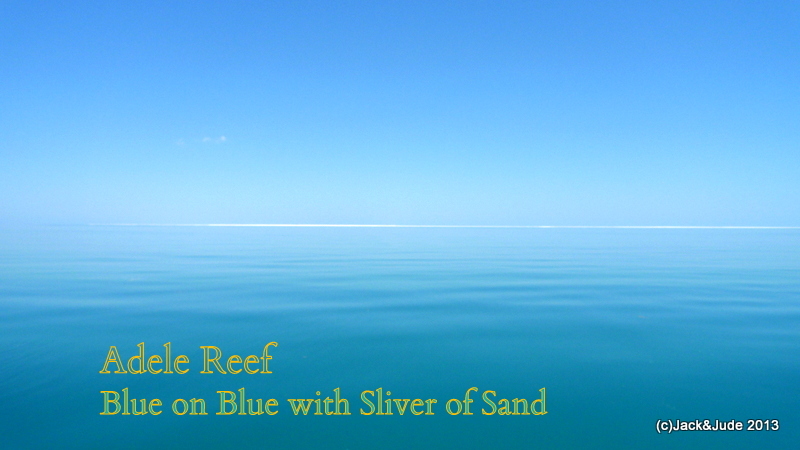 There are miles of lovely sandy beaches facing calm, clear water that is mostly waist deep for a hundred metres out. It’s irresistibly tantalizing for a swim. The wildlife needs to be seen to be believed. Dolphins swim right up to you and so many rays, watch out you don’t step on one. And plenty of birds, even though the terrain is stark desert of a rich blood red running to custard. The accommodation is quite reasonable, in room sizes to suit all groups, and dormitories that have the use of common kitchens and outside BBQs. As well, beachside bungalows cater for the more well-heeled. Catering for the roadies, a large camping area right next to the beach. We’re not ever bored, no time for that. Anchored just down the beach from the resort we have an eagle’s eye view of all the happenings without being too nosy or disturbed. The local tour boats use us as background for their visitors to photograph when the red sun sets behind Banyandah. 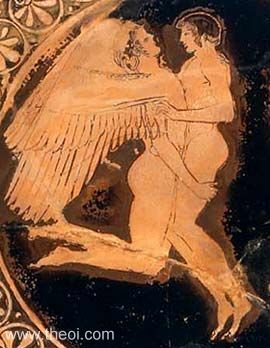 About every other day we traipse ashore for a swim, hot shower and maybe a few tankards of cold ale. Then once or twice a week we treat ourselves to a meal at either the Monkey Bar where it’s yummy ribs or grilled fish, or at the higher-class beachside restaurant that grill up a fantastic steak and make tasty beer-battered Flathead. We don’t seem to have any problems meeting new friends. 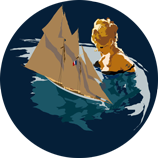 At the pub, our exploits have inspired many a young one on their own threshold of life, and out on the water we’ve enjoyed the great pleasure of several boaties, swopping yarns that have taken us deep into the dark, starry nights. 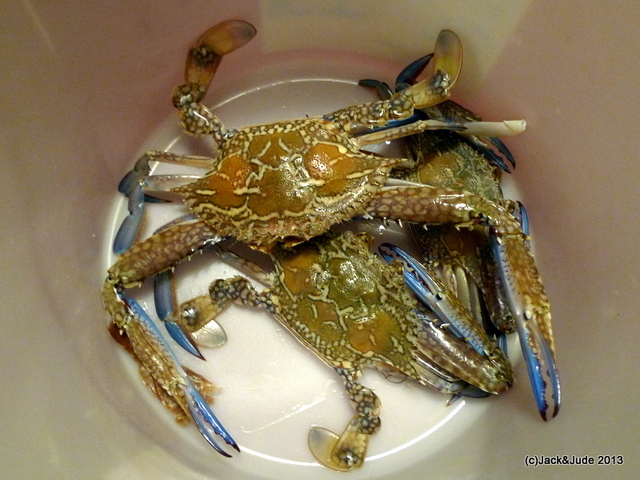 Chattering Welcome Swallows awake us each morning, the fishing’s good, the blue swimmer crabs plentiful, so who’s in a hurry? But there is trouble in paradise. 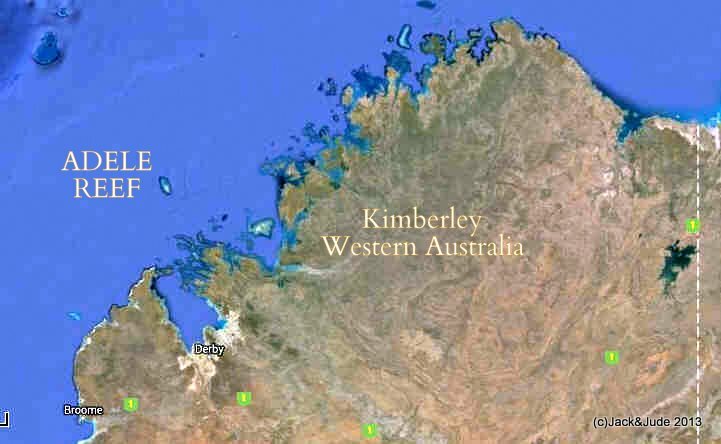 World Heritage Shark Bay Marine Park contains the world’s largest seagrass meadows and highest number of seagrass species ever recorded in one place. Seagrass is the foundation of the Shark Bay marine ecosystem as it provides shelter and food for a huge number of marine species. Feeding mainly on the roots and rhizomes of the Shark Bay seagrasses are an estimated 10,000 dugongs, an eighth of all in the world. Unfortunately, dugong numbers have declined globally by about 20% in recent times because their habitat has been developed for human use. And now a new threat has taken more of the seagrass beds. Climatic events of extreme rainfall in late 2010, followed in early 2011 by a ‘marine heatwave’; a period of about 3-4 months with elevated sea temperatures (driven by a strong La Nina). Mean monthly temps in Shark Bay were about 29°-30°C, but scientists were experiencing water temps of 34°C degrees at some sites during sampling at that time, which is very hot for these species of seagrass. 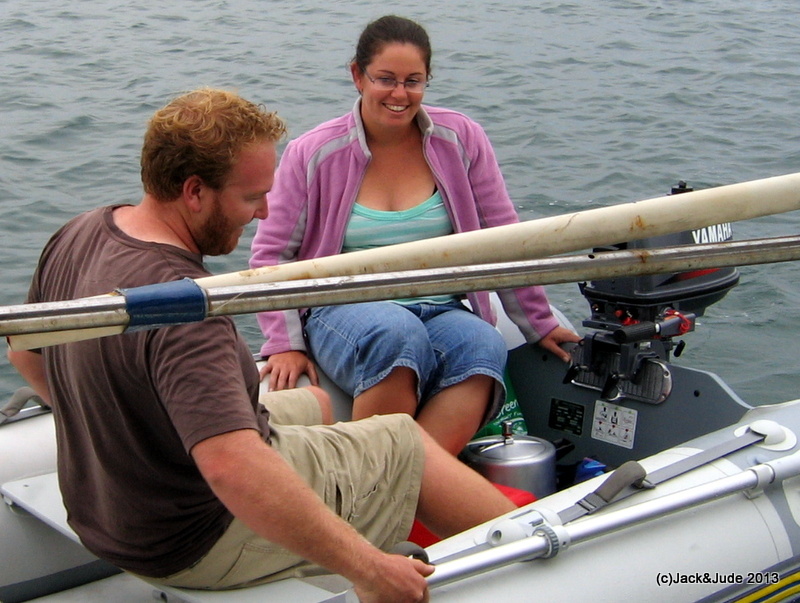 Ever since then, these scientists have seen a significant change in the seagrass across the Bay. Since our last visit here six years ago, they sure have been markedly reduced in size and health. 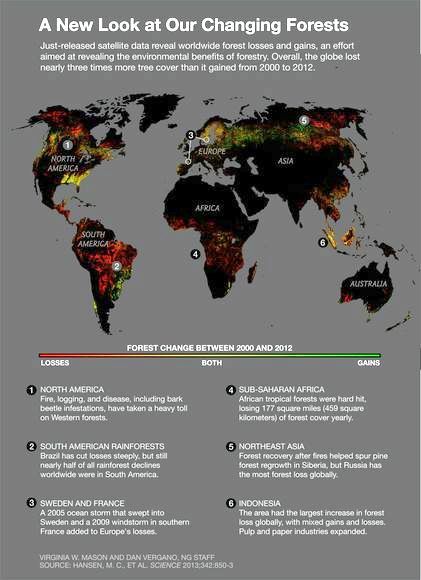 Read our report on the cause and effect. 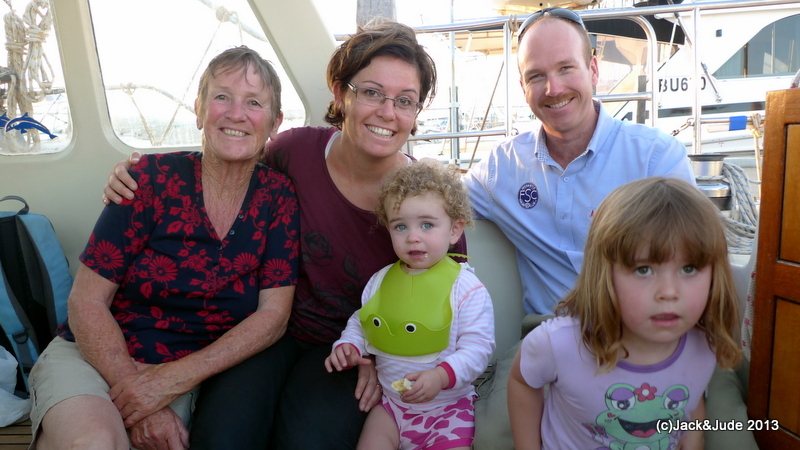 We have taken this pause because we’ve been sailing big miles since halfway around Australia in the middle of June earlier this year, to let Jude’s knee get a whole lot better after she fractured her Tibial Plateau in a bad fall. And to purchase a near new third laptop especially to edit HD video. Gee-whiz, getting used to that beast has taken some doing. 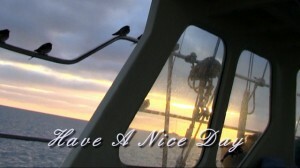 But Jack’s on top of it now and proceeding full steam ahead editing the Coral Sea footage. Now, if that dang knee brace would show up! Those Americans! You all know that we’re a bit jaded on their worldwide antics of late. Well, we think they’ve targeted us. Yep. Just like sending one of their guided drones we’ve been struck right where it hurts. We ordered a custom knee brace to help Jude back on her feet; it was made in Arizona, that’s next to the west coast. Well, off it went Priority Paid Airmail. First to LA in 4 days. Yippy we thought it’ll be here in a flash. But wait. Its tracker just never moved after that. Everyday looking it up on the internet it said lodged in LA. Then, after nearly two more weeks, a new message. What! Our knee brace has gone to New Jersey! – That’s nearly on the EAST coast. Another week sitting there saw it leap across the river into New York. Geez…. Well, it has now been one whole month since it was posted and the tracking still says…. wait for it, yes, you’re right, New York. Seems the USPS does not track packages outside the good ol’ US of A…..
Have you ever dreamt of trekking a historical track through some of Earth’s most exquisite virgin rainforest? 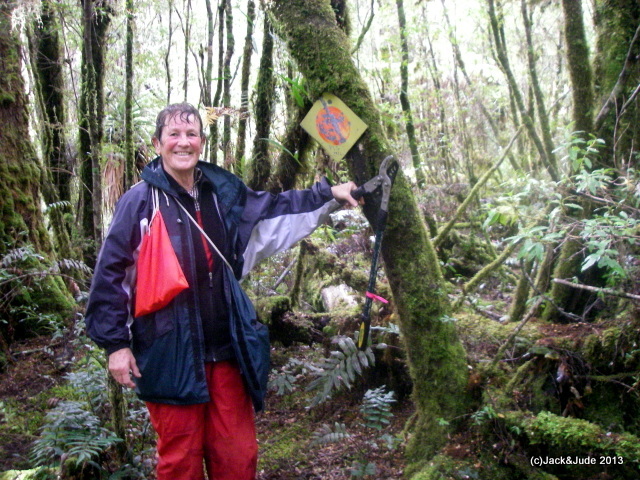 If you have the stamina, courage, and can take care of yourself in thick bush, thanks to a few friends, the historical track through never before touched rainforest once used by Sir John and Lady Jane Franklin to travel between the World Heritage Franklin and Gordon Rivers in west Tasmania has been cleared and is again open to trekkers. 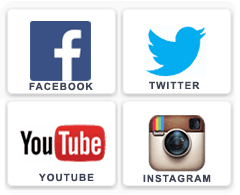 We have been busy updating our photo pages, which stopped appearing unexpectedly. We’ve changed the program displaying them and now they appear in tile format that expands into a full size viewer complete with captions. At the same time we added a new album. The Investigator Islands are no more than two gigantic granite boulders rising out a tempestuous sea, a rarely visited outpost for Nature. Plenty of west wind there…. 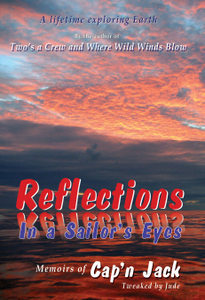 I think your web site and life style are wonderful, I have followed your journeys and have been inspired by them. I will soon embark on my own circumnavigation of Australia in my recently purchased Kahn Walker Rebel 34. Hi Kevin, be sure to pass on BIG HUGS from us. Miss you. Jude replied: Catch a quick plane Trish and join us -it’d be fun. Nice beach, dolphins that come right up to you, and not a bad pub overlooking some lovely ocean views. happy anniversary. Glad to have news that you are on the mend and back doing what you both love. 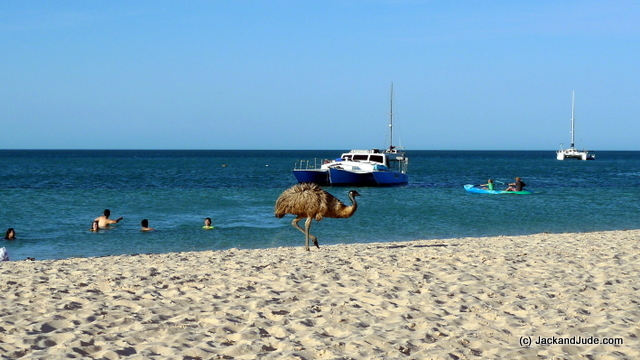 Nice to know you are in shark bay. we were there a few weeks ago traveling with our caravan we stayed for 3 weeks and then went as far as Exmouth !will we be seeing you back in Albany sometime soon?wishing you all the very best. Jude replies: Hi Jenny and Michel, looking forward to spending time with you in Albany, that will be fun. Sorry we missed you up here, you may have seen us sailing past Exmouth! 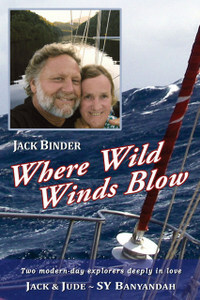 Except we were 80 miles offshore! !